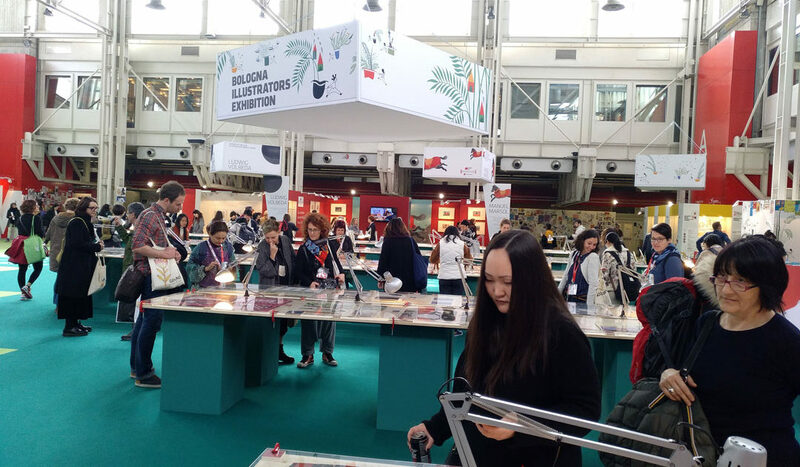 Every year I go to Bologna Children´s Book Fair makes me feel different, because I try to go with different plan and goal and this make me have particular experiences from one year to another. 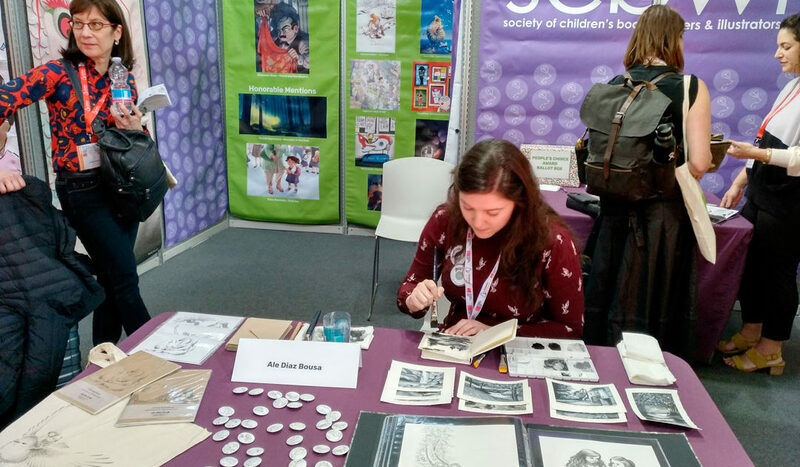 This was my first year as Regional Advisor at the stand for the Society of Children´s Book Writers and Illustrators and it was a so rewarding experience. I think I worked harder than other years, but I went back home very happy. I helped with some activities at the stand but the most important goal to achieve was communicating SCBWI as much international as we can, welcome members that went from all around the world: US, Singapore, Russia, Luxembourg, Germany, UK, Australia, Italy, Indonesia, and the list could continue for so long! Sharing experience with more veteran Scbwi partners is so important because you can learn so much from them. They are so kind and generous people. They gave me value advice for my personal work and my volunteering as RA at Scbwi Spain. 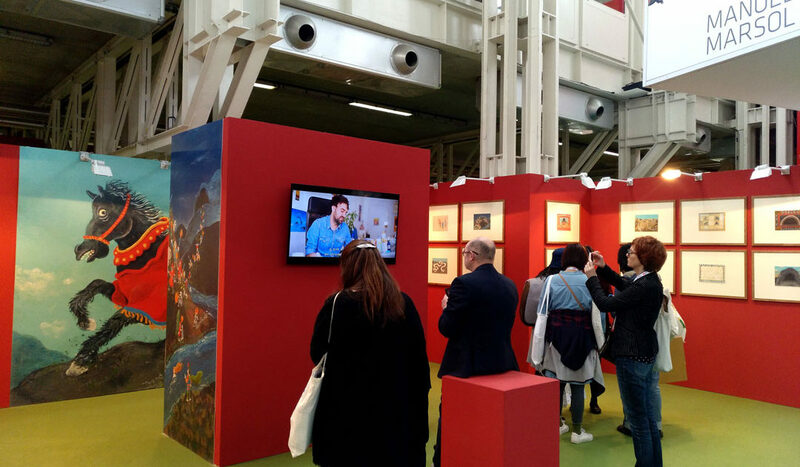 At a personal level I had the chance to do a showcase at the stand and it was a surprise for me in a very good sense, because I found it as a very interesting way for sharing your work. I was doing a live painting and people were so interested in my work process and my illustrated products. We designed and printed some notebooks as a promotional gift from Scbwi Spain members to publishers and agents. We really feel that this initiative was great because we got wonderful response from them. 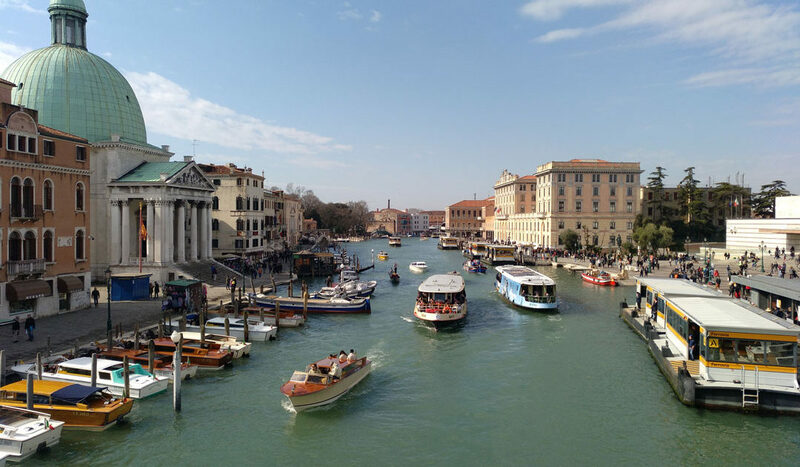 And of course, there is always time for relaxing and enjoying the city and sometimes do day off at lovely cities like Venice. 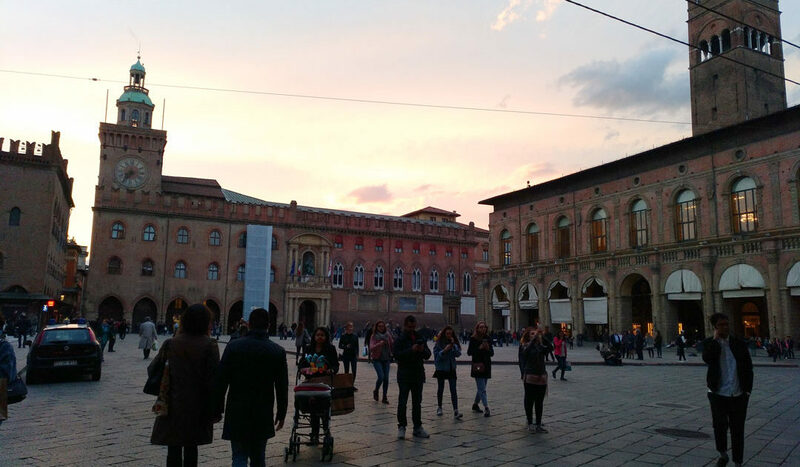 Dinners at Italy are delicious, and gelatos are so so yummy. 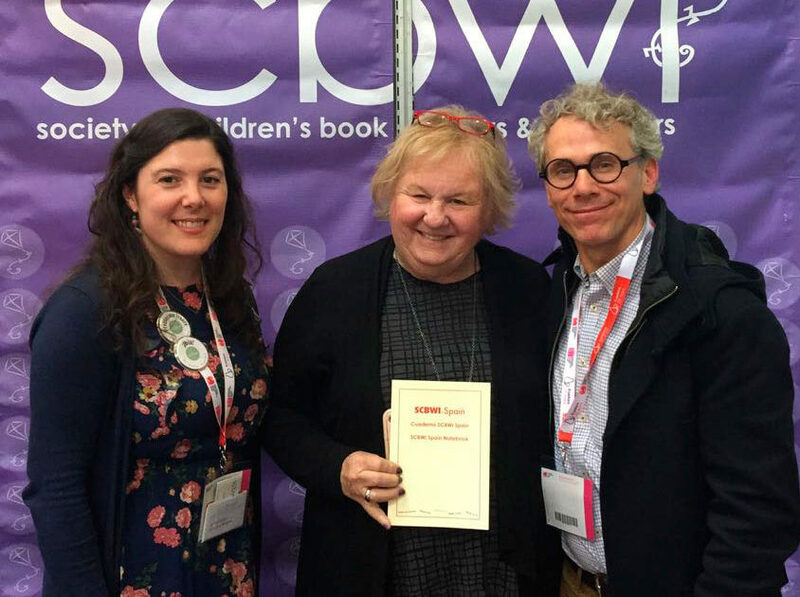 Finally, I should like to tell you about a fantastic interview I have the privilege to do with my Scbwi partners about the fair for Cynsations blog. I will put the link here as soon as they published the intervien, for sure! If you are interested you are welcome to reed it!